Built to last, Motorola CLS Two Way Radios and accessories provide a communication solution that is affordable and reliable. 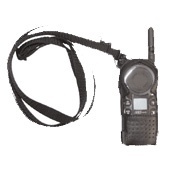 Walkie talkie radios continue to be a popular choice for long range communication. 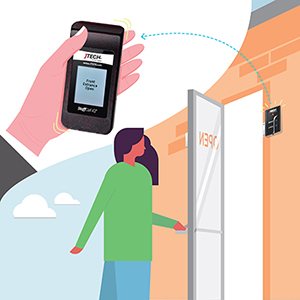 Used for warehouses, retail and special events, Motorola CLS 1110 & 1410 two-way radios enhance security, productivity and improve overall operation. Multi-unit and single drop-in chargers keep radios charged, easily accessible and ready to go. The rechargeable Lithium Ion battery provides up to 12 hours of battery life. The CLS Series ensures a clear signal is readily available when you need it. Operates on 56 business exclusive frequencies and features 121 codes for clear signal without interference. Multi-unit and single drop-in chargers keep radios charged, ready and centrally located. Easy for employees to carry and hold all day, yet built to withstand everyday use. 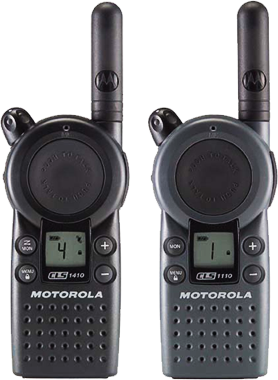 Choose a charger or other accessory for your Motorola CLS two-way radio. 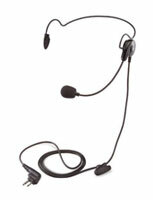 Ask about the newest line of Motorola headsets. Try these two-way radio carrying cases. From holsters to to clips, ask about Motorola carrying options. 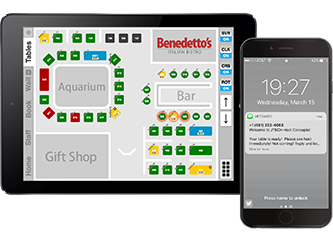 Our revolutionized table and waitlist management is great for busy hospital cafeterias or dining areas of long-term care facilities. 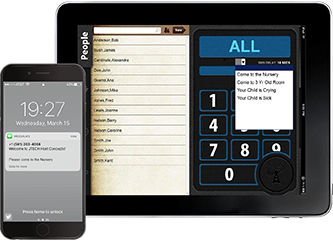 Keep the restroom clean in your hosptial or doctor office with our automated maintenance alert system. Streamline and manage customer waitlists and communications from any computer.